We have a pleasure to invite you to the IAF meeting of European delegates. This meeting will be held during the International Falconry Field Meet in Opočno, Czech Republic. 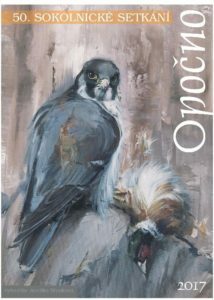 This year the Czech Falconers Club celebrates the 50th anniversary of its foundation. You are very welcome to join us for the whole event. The IAF meeting is planned to be on Friday 13th October (from 9 am to 5 pm). All registered IAF delegates are invited by the Czech Falconers Club to the Gala evening (start at 8 pm). The IAF delegates (and accompanying persons) will stay in the dormitory accomodation (3 beds in one room with bathroom and WC). The price is 100 EUR (including breakfast) for the period from 11th – 14th October. Return bus from Opočno to Prague will be arranged based on departure flights of the IAF delegates (most likely Sunday morning). All other services could be arranged according to visitors’ needs. (If we know detailed information about the arrival and departure date and time, we will make plans for more convenient transport). 10.00 – Opening ceremony at the Opočno chateau court. Departure to the hunting grounds. If you are planning to come with your hawk/falcon, please follow the information for the international falconers.